Fabric: 4.5 oz. Per Square Yard, 7.5 oz. Per Linear Yard, Tropical Weave.Blend: 100% Polyester / VISA® Finish with Solarban® technology.Care: Home Wash or Dry Clean. 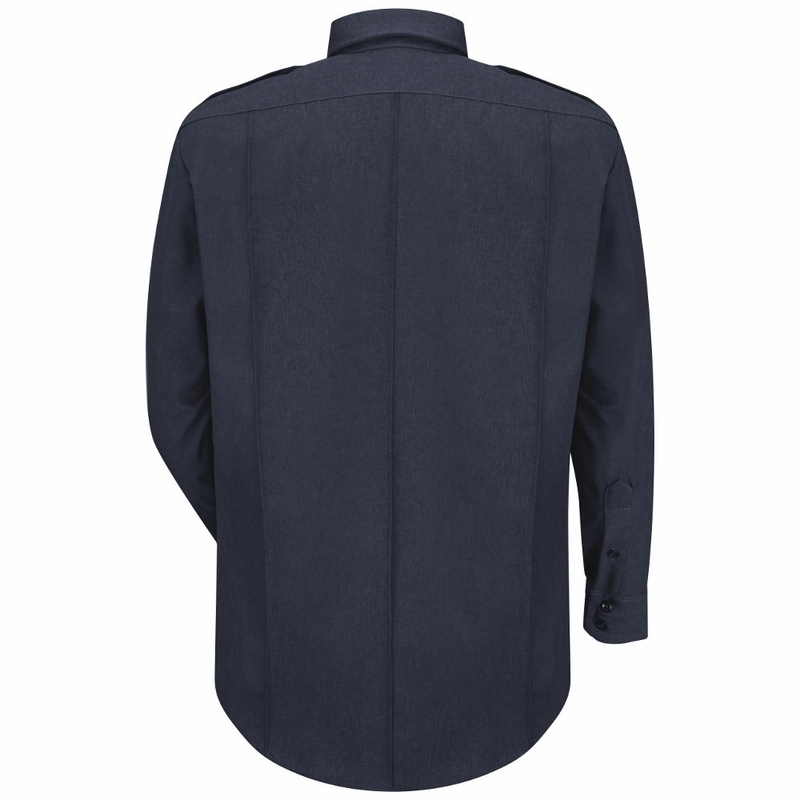 Closure: Break-Resistant Melamine Buttons Metal Button Feature on all Navy Styles, Zipper Front. 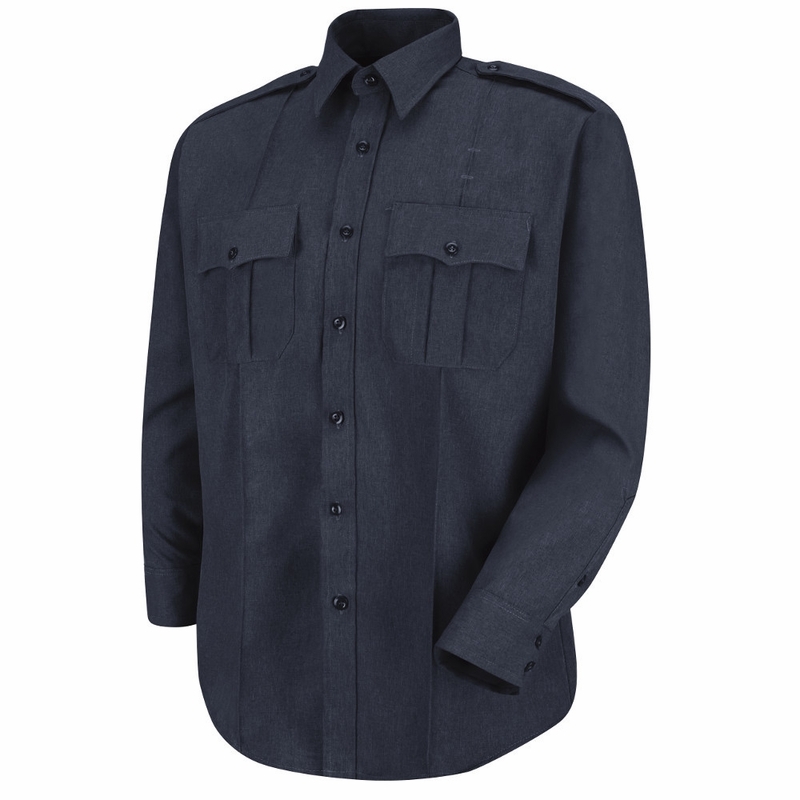 Collar: Banded.Cuff:	Two-Button Cuff with Button-Sleeve Placket.Finish: Moisture Managment, Soft Hand and Permanent Soil Release.Interlining: Heavy-Duty in Collar, Epaulets, Pocket Flaps and cuffs. Pocket: Pleated Pockets, Scalloped Flaps with Hook & Loop Closure.Other: Added Length to Sides to Help Keep Shirt Tucked. 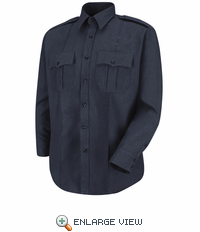 Designed to Accommodate Body Armor.